Steven Curtis is a commercial and motion picture still photographer presently living in Hollywood, California. 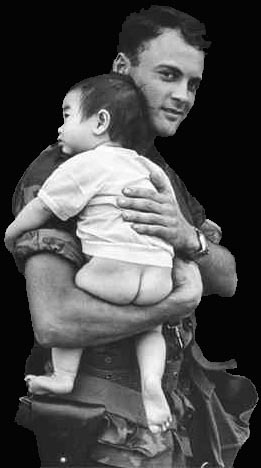 He was a photographer during most of his two tours of duty with the Marine Corps in Vietnam, from January 1968 to June of 1970. His assignments included everything from combat photography to routine public relations photos of hospitals, orphanages, and visits by U.S. political figures. On his own, he photographed the human side of war, as it was seen by the men and women in uniform who were there. Some of the photos on this web site appear in the Warner Brothers' film "In Country" with Bruce Willis. A few of these photos are also in the private collections of small number of Hollywood celebrities. Other than these few, none have previously been released.